MLA : Blogs : Sollenberger, Julia F.
Julia F. Sollenberger, AHIP, FMLA, spent thirty-seven years at the University of Rochester, where she directed the Medical Center Libraries and Technologies. She led the library’s evolving role in providing information technology services to the Medical Center and its transition to models of access to digital resources. She is recognized for her contributions to seminal research on the impact of libraries on patient care. Her career highlights include collaboration with libraries in the Rochester region, leadership development in the profession, and a focus on the importance of staff. I think being a leader doesn’t change over time. Being a leader means bringing people together who have expertise, who have the ability to move in new directions. You have to be able to hire and recruit and motivate those people. And no matter what the next future thing is, that’s what leadership is all about. After receiving her undergraduate degree and teaching mathematics, Sollenberger earned her MLS from Indiana University, Bloomington. 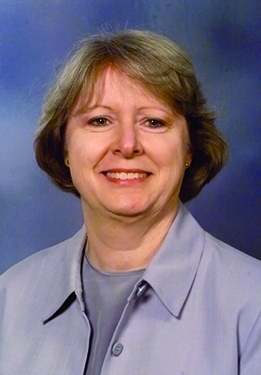 She was selected to participate in the National Library of Medicine Associate Fellowship Program in 1977/78, where her project on designing the conversion of card catalog records to machine-readable form led to a position as systems librarian at NLM overseeing the contract to implement the retrospective conversion. Her work was acknowledged by a National Institutes of Health Merit Award. When I was an NLM associate, we were expected to go to the Medical Library Association annual meeting, and that was in 1978… I was in absolute awe of what was going on. I knew things from the NLM perspective, but I didn’t know much about just the world of libraries out in the field. I was amazed by all of the papers that I heard, all the people that were learning and explaining and describing their projects… [T]hat was how I started. 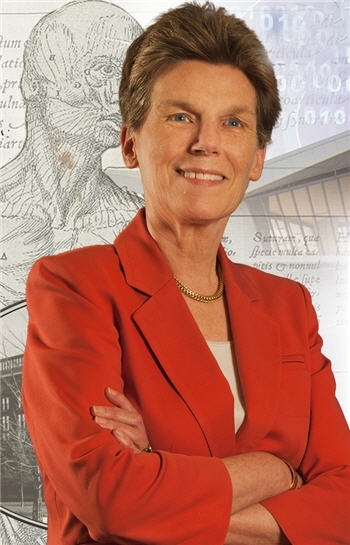 In 1980, she joined the Edward G. Miner Library, University of Rochester School of Medicine and Dentistry in Rochester, NY, as head of information services, where she worked with her mentor Lucretia McClure. Sollenberger subsequently held positions of head of public services, assistant director for public and computing services, assistant director, and deputy director, before being named director in 1998. From 2009 to her retirement in 2017, her increasing field of responsibility was recognized in her appointment as associate vice president and director. Her commitment to making medical information accessible extended beyond the Medical Center to include other health sciences libraries in the Rochester Regional Library Council and to health consumers in the community. The collaborative efforts led to the 1992 Rochester study demonstrating the value of hospital libraries during a time when the library requirement had been discontinued for hospitals in New York State. Sollenberger chaired the planning team for the follow-up Value of Library and Information Services in Patient Care Study, conducted in 2007-2012 at 56 library sites with over 16,000 responses, with Joanne Marshall as lead researcher on both studies. [T]he results were quite stunning, actually. Eighty-five percent of them said that getting that information saved them time… [T]he average amount of time saved was two-and-a-half hours. Three-quarters of them handled some aspect of the patient care differently as a result of having that information. [T]his was community-based, participatory research, which means that the researchers and the practitioners…were equal partners… I think that that helps those of us out in the field to be involved in research in a way that we might not be able to otherwise. If you have somebody whose job it is to do research, and then you pair them with people in the libraries, that can benefit everyone. The publication on the Value Study was awarded the Ida and George Eliot Prize by MLA. Sollenberger also coauthored a viewpoint article on the study in JAMA that extended its reach. Sollenberger was chair of the Upstate New York and Ontario Chapter of MLA. She chaired the MLA Chapter Council and served on the Board of Directors during 1989/92. She also chaired the Leadership and Management Section. MLA elected her Fellow in 2005. As the culmination of her career, she presented the 2017 Janet Doe Lecture on the culture of kindness. 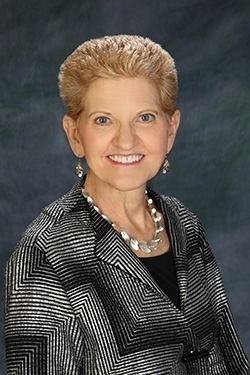 She served as president of the Association of Academic Health Sciences Libraries in 2008/09, chair of the Future Leadership Committee, and twice as mentor in the NLM/AAHSL Leadership Fellows Program. You have to figure out why you do what you do. And there were times during my mentor years that I questioned what I was spending my time on sometimes… I learned about myself, and then I think I was able to help those people to think about what’s important in leadership for themselves, because it’s different for everybody.